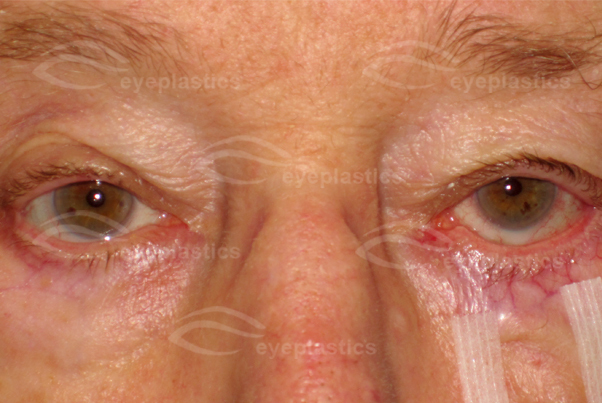 Entropion is a medical condition in which the eyelid (usually the lower lid) folds inward. It is very uncomfortable, as the eyelashes constantly rub against the cornea. The upper or lower eyelid can be involved, and one or both eyes may possibly be affected. When entropion occurs in both eyes, this is known as "bilateral entropion." Trachoma infection may possibly cause scarring of the inner eyelid, which may possibly cause entropion. In human cases, this condition is most common to people over 60 years of age.